New construction by one of Greenville&apos;s best. You will love the kitchen! Gorgeous granite counters, designer backsplash, solid maple cabinets and stainless steel appliances. Open floor plan with handsome hardwood flooring. Masterful Master Suite with private bath featuring a stylish stand up shower, dual vanities and walk in closet. Relax at the end of the day with a cool beverage on your covered front porch or covered back deck. Extra parking pad for your convenience. Walking distance to Cherrydale Shopping Center! 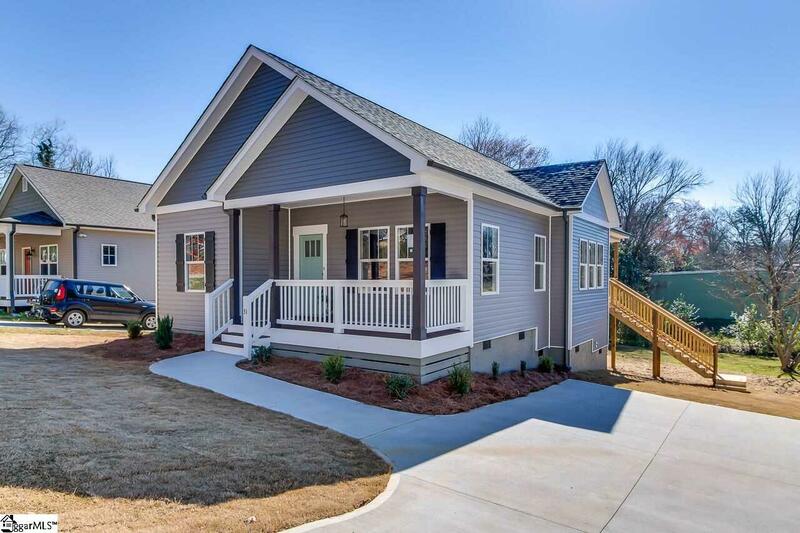 Convenient to Greenville&apos;s thriving downtown, the Swamp Rabbit Trail, Furman University and Travelers Rest, a quaint and welcoming town. Welcome to your new home!